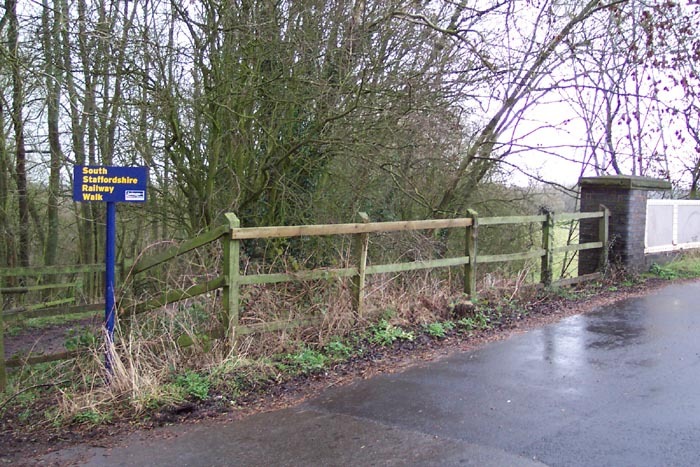 A halt of little significance on the Wombourne Branch, Penn Halt was opened in 1925 by the GWR in anticipation of good patronage of their new passenger route from Stourbridge Junction to the line from Low Level just North of Wolverhampton. However, passenger numbers never materialised and the halt, along with the line, closed in 1932 a mere seven years after opening although the line itself was retained until 1965 for goods use. As can bee seen above in 1954, the line was single here and thus only one platform was provided (photo: Michael Hale). As an aside, I cannot see why the GWR placed a stop here at all as, for anyone who travels this area will see, it is in the middle of the countryside: with the incredibly short shelf-life of the line itself it would seem a stark example of GWR myopia as the line's entirety does not, on the whole, pass through the most populated of areas. 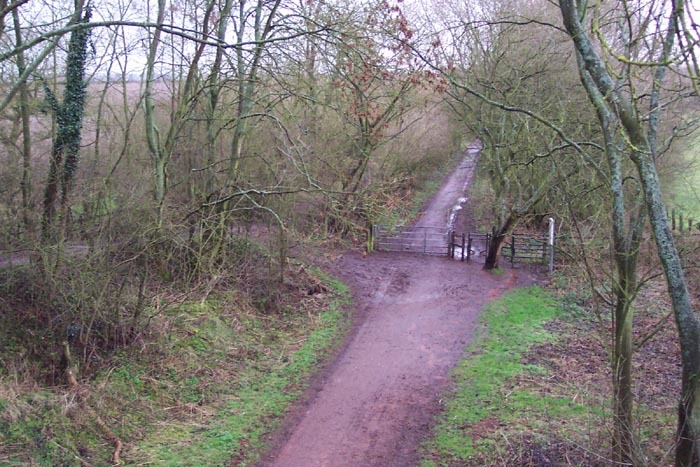 Above-left is the entrance to the old halt on Greyhound Lane and the signpost informs us that the line now forms the South Staffordshire Railway Walk. 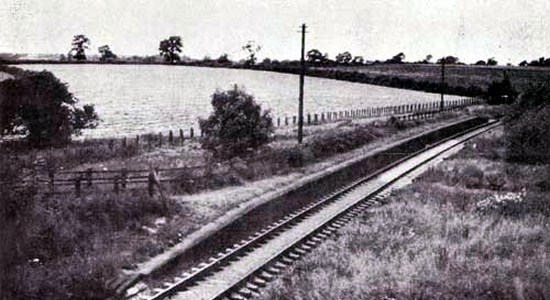 Above-right is a similar view of the halt site as to the one taken by Michael Hale above although we are more centrally on the road bridge. There appears to be nothing left at the site to show its past, albeit the only structure was a single platform which, unusually for station/halt sites on this line, appears to have been removed. Above-left we are looking down the entrance pathway to the platform with the trackbed to our right and above-right are standing with the platform site to our left watching the trackbed head-off northwards towards Compton Halt and Tettenhall. Above-right we are in roughly the same spot as for the previous shot but have turned to look in the opposite direction towards Stourbridge through the Greyhound Lane overbridge: the only structure hinting at the site's past. Above-right we have passed under Greyhound Lane overbridge and are watching the trackbed heading off towards Stourbridge and the next stop at Wombourne. I was disappointed here that the platform hadn't survived and, from a railway history enthusiasts point-of-view, would not recommend visiting this site (especially in a car as there is nowhere convenient to park on the very narrow Greyhound Lane).